We say no way, particularly when it comes to the looming autonomous vehicle revolution. And a revolution it will be! Tech is fundamental, but it must be balanced with wise urbanism, and the drivers of that side of the road are urbanists. Technology—code and electrons that make our smartphones and the internet work—has been steadily outgrowing its gadget containers and boiling over into the physical world. As we have written before, trends like the Internet of Things (IoT) and the app-centric sharing economy are about to alter the shape of whole cities. Yes, it is that big. One of these huge, inevitable trends is the arrival of autonomous vehicles (AV). I recently attended a Sidewalk Labs Talk in New York to discuss the effects of AVs in the shape of our cities. There, technologists and urbanists met to start a much-needed dialogue where each “side” learns about the other’s concerns. Technologists—the ones dealing with the self-driving machines and its enabling software—have been innovating at a rapid pace but still without much input from urbanists—city designers and policy makers like us here at Integra. There is much to learn and ideate about the relationship of AVs and its immediate surroundings: the road, the pedestrian, the human driver alongside it. And if urbanists don’t influence these discussions soon, technology will then be the One Force shaping the City. Will the popularity of AVs promote suburban sprawl? We hope not, but if unchecked, there’s the possibility that commuting without your hands on the steering wheel will be so convenient that we’ll have no trouble doubling our travel distances while reading the news, checking Facebook, working, or even having a full meal while on our daily commutes. Here, urbanists must start defining the policies to dis-incentivize this potential outcome. 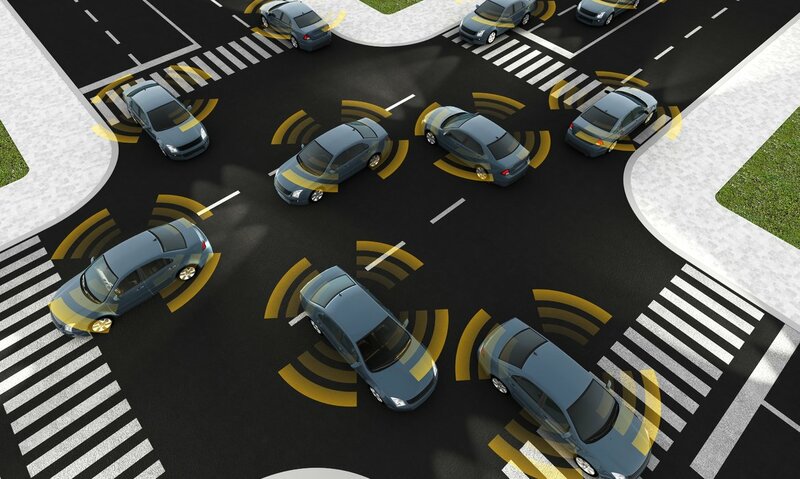 What’s the potential impact of AVs in socio-economic equality? U.S. cities’ socially & economically disadvantaged residents must deal, among other issues, with the lack of easy transportation to and from the sources of jobs and education. Will governments be able to leverage AVs to promote public-private partnerships (PPPs) that tackle this social-mobility gap? This is an opportunity for urbanists to study and define the opportunities of making it cheaper to shuttle disadvantaged workers and students to where the jobs and schools are by using automated mass transportation systems. I would argue that eventual self-driving “trains” will not need rails anymore! How will the curbside be negotiated? Who should have the right to use the curbs of our roads in a driverless future? A transit bus? A bike lane? Parking for a regular, “human-controlled” car? Our quick idea as urban fans: why not a parklet here and there? Shouldn’t AVs be programmed per different driving regions? People drive differently across our cities. The form of our cities, in fact, is very different, too. The transition to an all-driverless future, if ever coming, is distant. In the meantime, AVs should not receive the same “treatment” from fellow human drivers in the streets of Manhattan than in the Midwest’s Main Streets, for example. Boston and Phoenix must be “driven” differently, as their urban form (not to mention their weather) varies widely. Shouldn’t AVs be programmed to react accordingly to each locale? Here, we the urbanists must have a say. Driverless cars is no longer science fiction, and we must raise our voices to help turn this imminent change into livable cities rather than leave it as just another technological evolution. Urbanists can insert themselves into the conversation to make sure the arrival of AVs promote sustainability, compact-city living and better climate resilience. Otherwise, it will be a huge missed opportunity for a better, greener future. Richard Cuebas is co-founder and Vice-President of Integra Design Group, Managing Member of our Charlotte office, and leader of the firm's Sustainability and Interior Architecture practices.